Among my newest offerings are classes geared toward the parent and child who love to make art together. 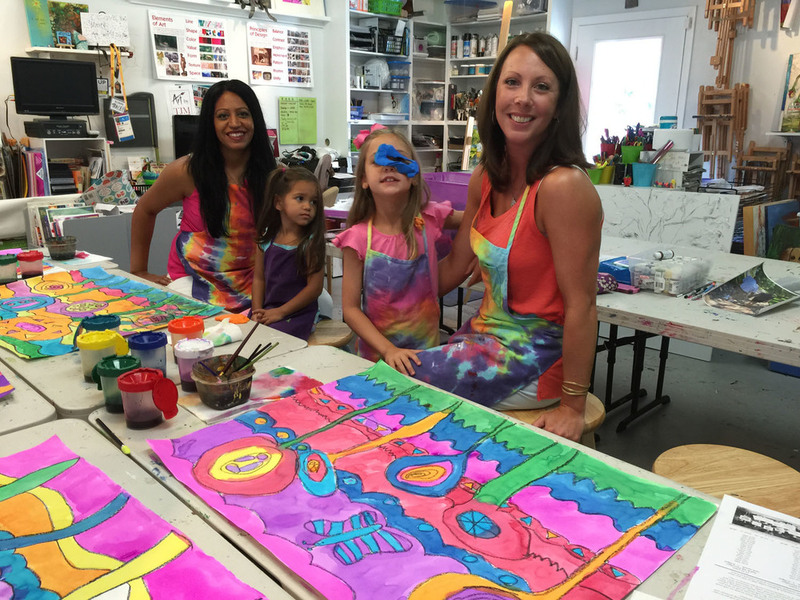 Bring your child, aged 5 and above, and come out for these exciting, messy, creative sessions. It's worth the price alone when you don't have to clean up the mess on your dining room table! Don't worry if your little one can't make it for 90 minutes, its an open studio so work as long or short as you like. Each session I will have different mediums and projects out at different skill levels. Pick one and let the fun begin! Minimum of 3 families must sign up in order for class to be held. Cost: $35 for one parent and one child; additional children, $10 each. Cash, Check, MC and Visa. Note: $25.00 return check fee. Includes: supplies for the theme of each class. Saturday, May 11th - Celebrating Mothers Day - Glue Gun and Watercolor Flowers. Click here to learn how to save money when you pay for a group of classes with a Punch Card!